George Perle, winner in 1986 of both the Pulitzer Prize in music and a MacArthur Fellowship, was born in 1915 in Bayonne, New Jersey. 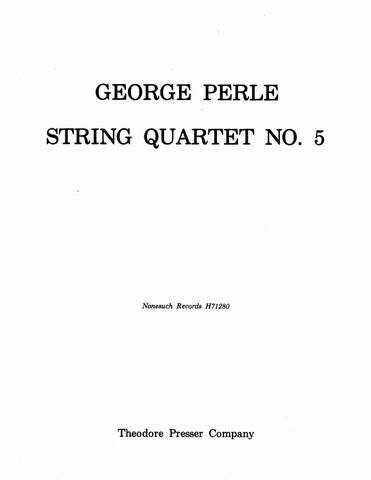 Perle’s compositions have figured on the programs of the Boston, Chicago, Philadelphia, Minnesota, New York Philharmonic, San Francisco, Baltimore and BBC Symphonies, Bavarian Radio Orchestra of Munich, Royal Philharmonic Orchestra, American Composers Orchestra, Juilliard String Quartet, Kennedy Center, Chamber Music Society of Lincoln Center, etc. His works are recorded on Nonesuch, Harmonia Mundi, New World, Albany, CRI and other labels. The Nonesuch recording of his Serenade No. 3 (choreographed for American Ballet Theatre under the title Enough Said), was nominated for a Grammy award in 1986. Mr. Perle has been a frequent Visiting Composer at the Tanglewood Music Festival and Composer-in-residence with the San Francisco Symphony. Mr. Perle was among the first American composers to recognize and to be profoundly influenced by the revolutionary transformation in the language of music embodied in the work of the Second Viennese School in the early years of this century. From the very beginning, however, his own work, both as composer and theorist, represented a radical reinterpretation and departure and in his very first published article (1941) he presented a fundamental critique of Schoenberg’s twelve-tone method, which he saw as the first step toward a new tonality rather than as a special technique of atonal composition. His first book, Serial Composition and Atonality (6th edition 1991), is widely recognized as the standard work on the music of Schoenberg, Berg, and Webern and was recently published in Chinese translation. The Operas of Alban Berg, in two volumes (1980, 1985), is a comprehensive work on all of Berg’s compositions and on his life as well. 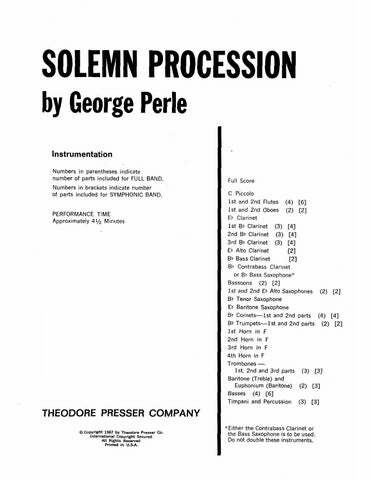 In Twelve-Tone Tonality (1977, 1996) and The Listening Composer (1990) Perle sets forth is own musical language and presents the view that the disparate styles of post-diatonic music share common structural elements that collectively imply and new tonality. Two new books were published in 1995: The Right Notes: 23 Selected Essays on 20th-Century Music and a monograph, Style and Idea in the Lyric Suite of Alban Berg. George Perle is a member of both the American Academy of Arts and Letters and the American Academy of Arts and Sciences. for 11 Players 15:00 1 1 1 1T.Sax. – 0 1 0 0; Perc. Pno. Vln. Vla. Vcl. For Orchestra 5:30 3 3 3 3 – 4 3 3 1; Timp. Perc. Cel. Hp. Str. 16:00 4 3 3 1 – 4 3 3 1; Timp. Perc. Pno. Cel. Hp. Str. 17:00 Solo Vcl. ; 2 2 2 2 – 4 3 3 1; Timp. Perc. Hp. Str. for the translation of the play by William Arrowsmith Full evening Fl.(Picc.) EbCl.(B.Sax.) Tpt. Tbn. Vla. Kbd.